The new coal mine proposed under the Irish Sea is ‘not a threat’? (Letters July 5) True, it is not just one threat! Like a many headed hydra it promises a myriad of threats to wildlife, health, climate and the safe stewardship of Sellafield. Despite this myriad of threats. Kent Brooks’ letter of support for the mine is evidence that the PR for this plan has been astonishingly successful. So what is the threat to wildlife? 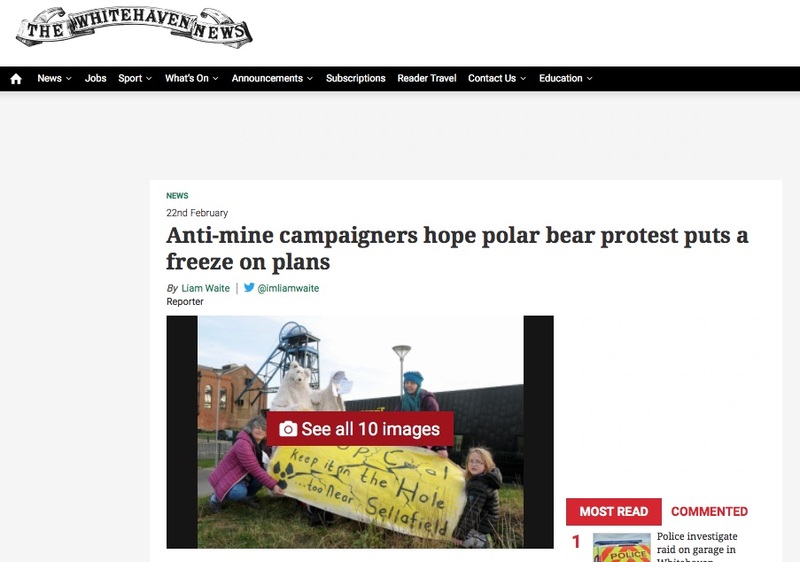 RSPB and others have pointed out that the development has the potential to have an adverse effect upon the St Bees Head Site of Special Scientific Interest. through disturbance to breeding birds during excavations and coal processing. The impacts from this vast mine on Cumbria’s troubled water resources and hydrology are also of great concern to human welfare, as well as that of wildlife. What about the climate impacts that Kent Brooks believes are non existent? At a production rate of 2.8Mt/year the produced coal would generate 1.24Mt/year CO2. Some of the CO2 would be produced in Cumbria and some at the locations of steelmaking where the coal is to be exported. Given that all countries are equally bound by the Paris Agreement and equally committed to reducing fossil fuel use – it is highly unlikely that steel manufacturers will be seeking to import Cumbrian coal. There is rapid innovation in steel-making processes to eliminate the fossil fuel component. Kent Brooks says he does not understand why nuclear safety campaigners are so concerned about this plan. at just 8km away from Sellafield (even nearer to Moorside) according to West Cumbria Mining, this development is ridiculously near to more than 140 tons of plutonium. Increased tremors and quakes resulting from mining are well documented. Also well documented is the fact that there are large holding tanks at Sellafield containing thousands of litres of extremely radiotoxic fission products. As well as nuclear wastes on teh Sellafield site there are radioactive wastes on the Irish Sea bed from ongoing and historic discharges. Don’t take my word for it. All these threats can be read about on the submissions to Cumbria County Council on their website under planning application reference 4/17/9007. Please do write to CCC before mid August and make your voice heard in opposition to this new coal mine plan which threatens Cumbria in a myriad of ways.